There are very few people who have not heard this star’s name, he was and is still quite the A-lister, so it is only natural that people would be curious about him. It is only fair that before we get started on the topic of Jon Bon Jovi’s wife, kids, family, daughter and his height, here a few facts about the star himself. 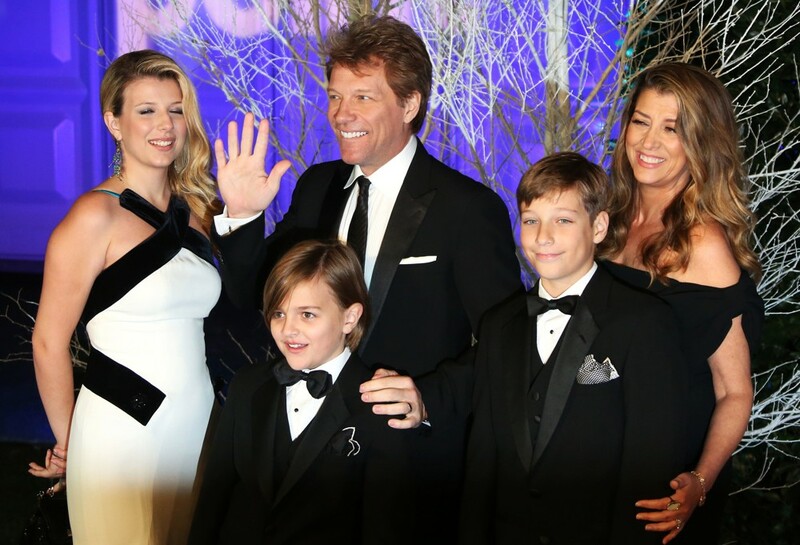 • He was born John Francis Bongiovi jr., but till date, he is popularly known as Jon Bon Jovi. It is highly likely that most people out there are not aware that he does not bear his given name, but that is fine as the brand he has built on his pseudonym is doing wonders for him. • Bon Jovi is actually the name of the whole band, yes; he is definitely not a solo act. The band was originally going to be named Johnny Electric until a friend suggested that they follow the likes of Van Halen and take their leader’s last name. So, in more ways than one, he is married to the band. • The star has a very interesting racial cocktail going for him, his name does give you a few hints, but here is what he is really about. His father is Italian, from Sciacca, Sicily with a little bit of Slovak blood mixed in there and his mother is of Russian descent. • Jon Bon Jovi has stated openly that he is, in fact, a blood relative of the popular singer Frank Sinatra. • His music is not his only passion; the star has been widely recognized for his philanthropic and charitable nature. He has worked on behalf of the Special Olympics, the American Red Cross, the Elizabeth Glaser Pediatric AIDS Foundation, Habitat for Humanity, Covenant House, Project H.O.M.E, The Jon Bon Jovi Soul Foundation and other groups. Now that we have that covered, let us move on to the topic of Jon Bon Jovi’s wife. Not many couples can boast of being together as long as these two have been, 28 years of marriage is no easy feat and that is very commendable. 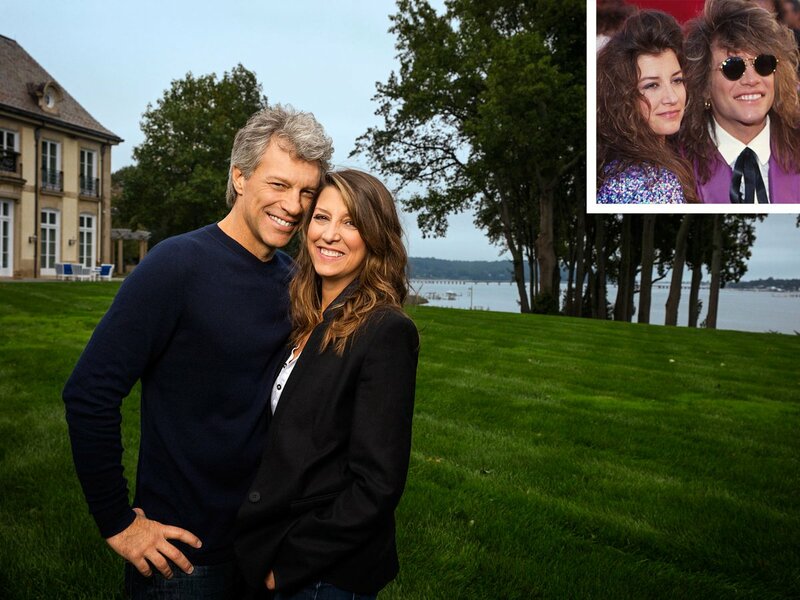 Jon Bon Jovi and his wife, Dorthea Hurley, go way back, in fact, they were high school sweethearts. They had been dating other people on and off before that, but something brought them back together and it just felt right. 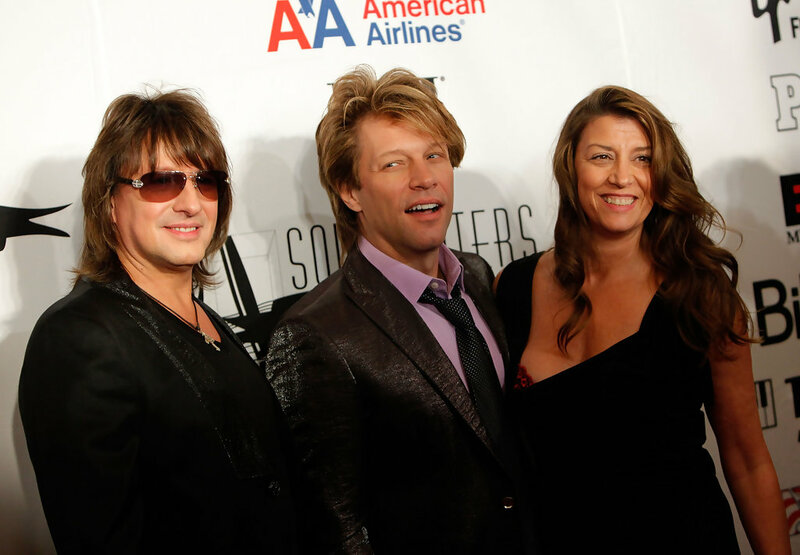 So right that during a short break from Bon Jovi’s New Jersey tour, they decided to tie the knot in Vegas. One would think that having a husband who is so widely known would dim Hurley’s light, but she is still out there doing it big for herself, she is a Karate instructor with a fourth-degree black belt. In addition to that, as of 1992, she was the fourth-ranked women’s green belt nationally. Apart from Jon Bon Jovi’s wife and his children, the star does have a few other relatives. Here is a condensed list of his family members. His father, who he takes after, is John Francis Bongiovi Sr., his mother is Carol Sharkey. The star has two brothers, Matthew and Anthony Bongiovi, and then there is his grandfather David Sharkey. The star is of average height as he stands at 5 feet 9 inches, you have to admit that is not bad at all. In addition to the topic of Jon Bon Jovi’s wife, kids, family, daughter, and his height, here is a brief summary of all his body measurements.